Know the Right Price. Get the Right Price. Using inaccurate and incomplete medical equipment price benchmarking information is costing hospitals $11 billion in wasted spending every year. The key to saving this $11 billion is to deploy a next-generation solution that uses the most accurate price benchmarking information available and addresses the entire medical equipment lifecycle. It’s called Benchmarking 2.0® and it is only available from Miga. The medical equipment lifecycle represents the largest portion of hospital spending not yet adequately addressed by hospitals. Lacking accurate information, internal resources, bandwidth, and specialized expertise, even diligent hospitals are missing savings of $12,000 per bed annually despite their best efforts using old-generation benchmarking information and tools. Miga’s Benchmarking 2.0® approach provides hospitals with the ability to confidently make and execute smarter spending decisions by combining the most complete and accurate pricing information with services that make it easier to get that price. And only Miga’s Equipment Value Management System can deliver these savings. 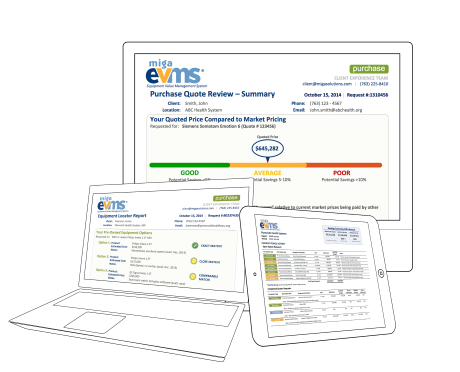 EVMS is the leading Benchmarking 2.0® platform and is only available from Miga Solutions. It is the first and only benchmarking solution available to hospitals that guarantees savings. Information You Want. Anytime. Anywhere. Each EVMS report delivers essential information needed to identify savings in all of your hospital’s medical equipment lifecycle decisions. "Miga’s data, analysis and expertise – in particular related to the fair market value of clinical equipment – is a critical resource we need to support strategic acquisitions, divestitures and joint ventures." 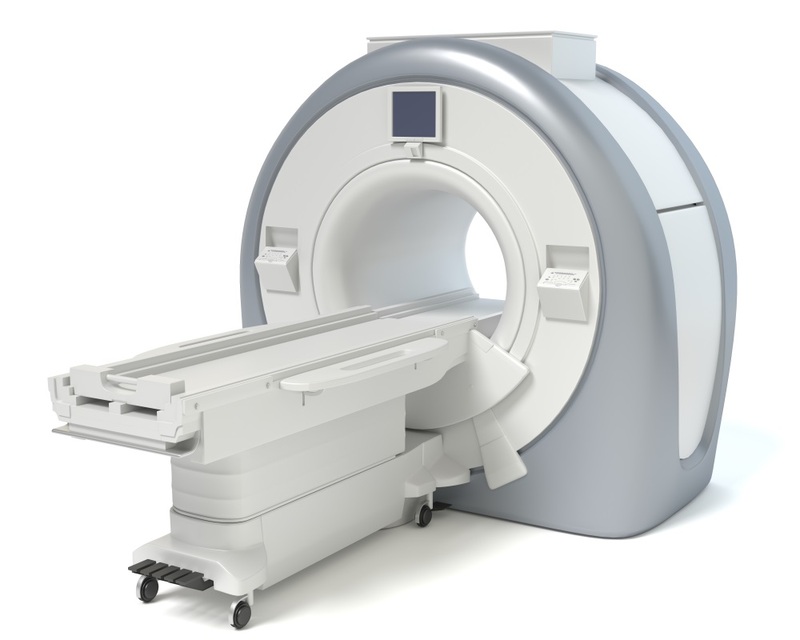 PROBLEM: Our Client was purchasing a new MRI and wanted to verify if the quoted price for the new system and the trade‐in offer for their existing MRI were the best possible prices. SOLUTION: Using EVMS' Purchase Quote Review, our Client established that the quoted price for the new MRI was at least 10% higher than what other hospitals were paying and that the trade-in offer for the existing system was significantly below its true market value. OUTCOME: Armed with EVMS' market data, our Client negotiated an additional $126,000 discount (11%) on the price of the new MRI and sold the existing MRI for $110,000 more (73%) than the trade-in offer. The combined $236,000 in savings represented a 17% reduction in the acquisition cost of the new MRI. 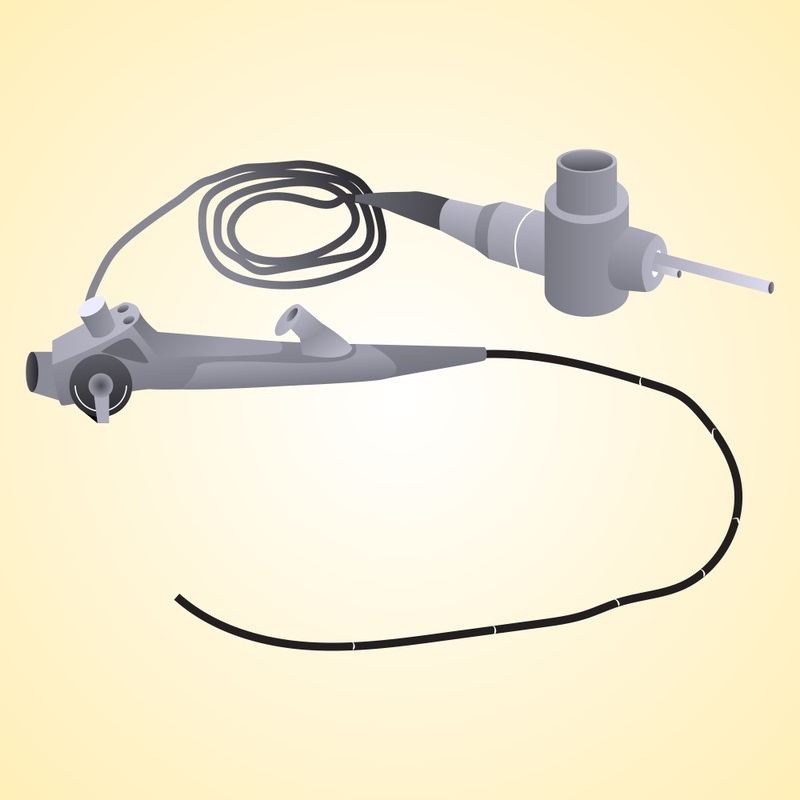 PROBLEM: Our Client was upgrading a fleet of 90+ pieces of endoscopy equipment and wanted to verify if the trade-in offer for their existing equipment was consistent with market prices. SOLUTION: Using EVMS' Trade-In Optimizer, our Client established the true market value of their existing equipment was at least 20% higher than the OEM trade-in offer. OUTCOME: Armed with EVMS' market data, our Client removed the trade-in from the new equipment purchase and sold the existing fleet through the Miga Marketplace for $231,000 more cash (25%) than the OEM trade-in offer. 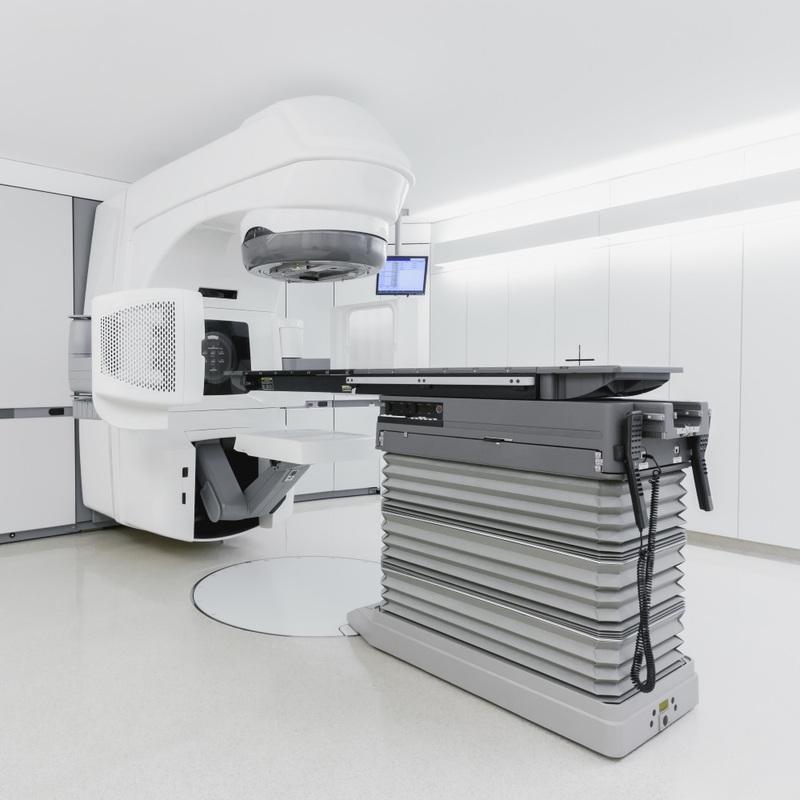 PROBLEM: Our Client needed to verify if the OEM quoted price for annual service on their linear accelerator was consistent with market rates other hospitals were paying for the same level of service coverage. SOLUTION: Using EVMS' Service Contract Review to benchmark the proposed annual service cost against market rates, our Client learned other hospitals were paying at least 20% less for comparable service. OUTCOME: Armed with EVMS' market data, our Client was able to negotiate a lower price of $104,000 annually (36%), for total savings of $520,000 over the 5 year contract period.